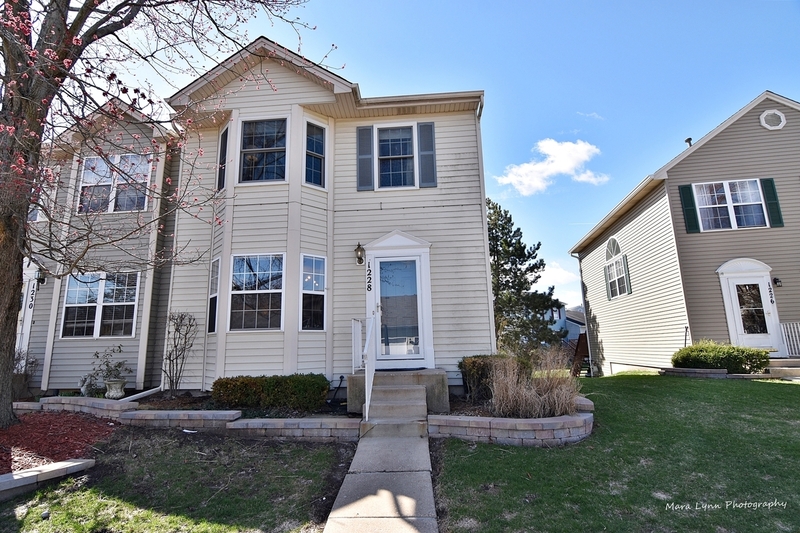 Beautifully updated "Potomac"model, end unit, with 3 bedrooms, 2.1 bath and finished English basement. Newer porcelain tile flooring in the foyer, kitchen and hearth room~Large family room with newer hardwood flooring~Spacious master suite with room for sitting area~New carpeting in finished English basement~Lovely deck and private yard~New furnace (2016) New hot water heater (2014)New garage opener (2016) Updated electric (2013) Newer corian counter tops and sink (2015) Storm door (2017) New lighting (2016) This is a "10"! Community clubhouse & pool, and close to everything that Geneva offers!